Brisbane Airport Corporation (BAC) today congratulates Qantas Airways on 80 years of continuous international operations from Brisbane Airport (BNE). From humble beginnings in 1935, Qantas Airways operated its first international flight from Eagle Farm to Singapore, marking a long and proud journey into overseas operations. Flying a four engine DH86, the journey took three and a half days. The flight is now daily and takes less than eight hours. Michael Bradburn, Acting CEO BAC, said Qantas’ long-standing commitment to providing international services to and from Brisbane was to be commended. “Eighty years of continued and committed international service to Queensland is an outstanding achievement for an airline. 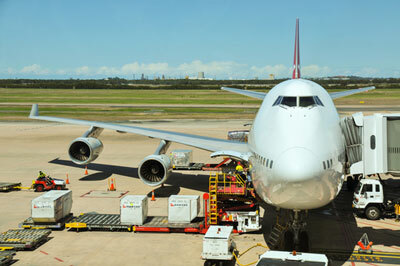 “During that time, the world has changed so much and Brisbane Airport as we know it today did not even exist. Qantas has evolved, working hard during the good times and the bad, as other airlines come and go, transforming itself time and time again to remain relevant and ahead of the pack. Regardless of everything else, Qantas has always been there connecting Brisbane and Queensland with the world. “As we reflect on the last 80 years of operations at Brisbane for Qantas, BAC remains committed to building our future, evolving just like Qantas to ensure we’re equipped with the right infrastructure to meet our future demand. “We’re working hard to be world-best and we look forward to our future partnership with Qantas and continuing this legacy into the next 80 years,” Mr Bradburn said. Qantas recently announced direct services between BNE and Tokyo, launching 1 August 2015, further complementing its international network to/from BNE, including daily services to Los Angeles, Hong Kong, Singapore and Auckland with seasonal services to Queenstown. Qantas first moved its headquarters to Brisbane in 1929 with its first international service operated from Eagle Farm Airport in 1935. Eagle Farm was decommissioned in 1988 when Brisbane Airport was opened.